I should have titled this post “My Cookie Experiment”. I say this because out of all the types of food I’ve tried to make in the past, cookies have always been a hit-and-miss. Thus, each time I try a new recipe I always jump into the exercise with no big expectations. I don’t know which is true: My cookie-baking success rate is low because I don’t make them enough or I don’t even try because I know I’ll fail. I don’t seem to have this much trouble with savory dishes–or even with cakes. Hmm. Anyhow, I’m happy to report that these cookies were a success despite flubbing a key instruction and making a couple of substitutions. I reluctantly attribute both to laziness. I was supposed to “finely chop” the pistachios, but since I didn’t feel like pulling out another appliance, I took to the task by hand. I’ll just say that when you have to finely chop a cup of nuts, you’ll quickly reach a point when you’ll think them chopped finely enough. Wrong. See my cookies? They’re quite chunky and I don’t think Martha Stewart intended them to be so. Well, I won’t tell her since this didn’t seem to hurt the finished product. As promised, these cookies were soft and chewy, sweet and full of pistachio goodness. Admittedly, they were not as lemony as I had hoped they would be but I should have known to double the amount of lemon required. I usually do this for most recipes because I like a dominant lemon flavor in most things I eat. The extra lemon juice (or maybe using a tarter regular lemon instead of the sweeter meyer variety) might have toned down the sweetness just a little–my preference. This might have also been my doing because I had to substitute half dark brown/half granulated sugar for the light brown I didn’t have . Still, I would make these again for they have passed muster to serve for company. I call this one successful experiment. Preheat oven to 325º F. Using an electric mixer fitted with the whisk attachment, mix the egg white and salt in a bowl on medium-high speed until stiff peaks form. Reduce speed to medium and mix in the rest of the ingredients. Use a small ice cream scoop (1 1/4 inches) to measure the dough and drop on a baking sheet lined with parchment paper. Space them two inches apart. Bake, rotating halfway, for 10-12 minutes or until the edges are golden. Set the cookie sheet on a wire rack to cool before attempting to peel off the parchment paper. The cookies can be stored at room temperature for up to three days. These look great, wouldn’t even notice they were supposed to be finely chopped! Thanks, Debbie. My husband actually liked them this way, so it turned out okay. I think they look great, I wish I had one right now! Thanks, Patty. Finally, a cookie experiment that didn’t go south! These look wonderful and I imagine that they would taste divine. A must try! What a wonderful flavour combination, they look absolutely lovely. I love pistachio in my dessert and this cookies looks great. Interesting combo. I love when people take ingredients that I never thought would fit together and create something so yummy looking. Thanks a lot for sharing! Sophia, I thought so too, but the lemon was definitely a minor player in this recipe. Pistachio Coconut, now that sounds good! Thanks for the link. Love this cookie! Great flavors! 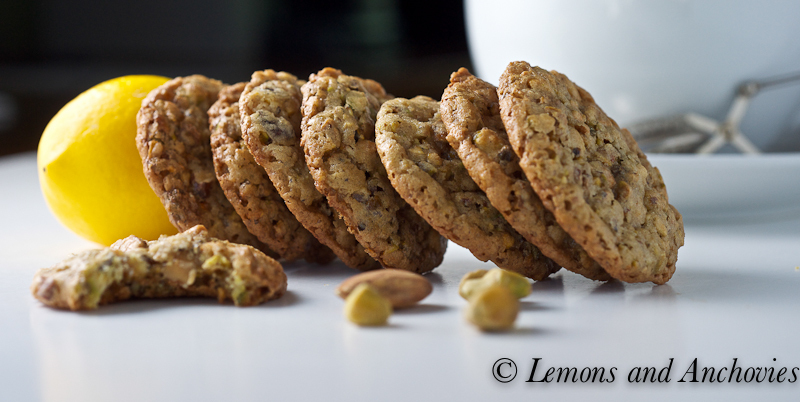 A very unique combination of lemon and pistachios, the cookies look so good! PS: Congrats on making it to the Food Buzz front page! 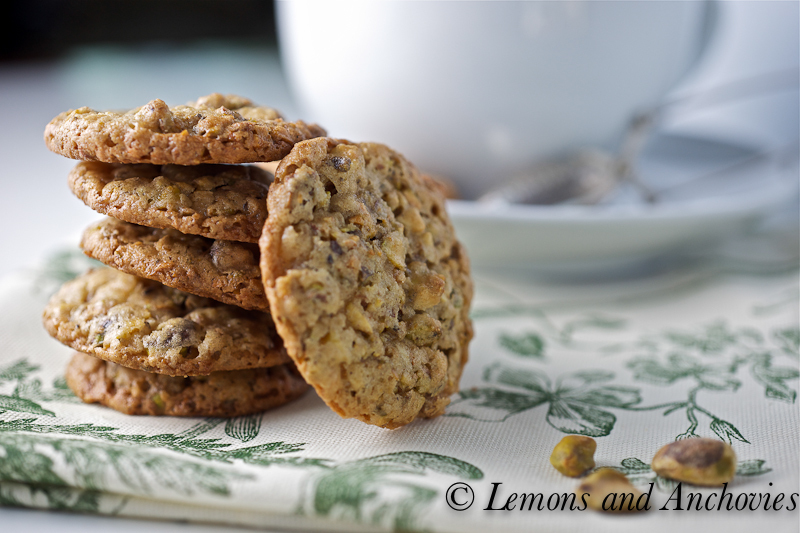 I would’ve never thought to combine pistachios and lemon together in a cookie, but they look fantastic. 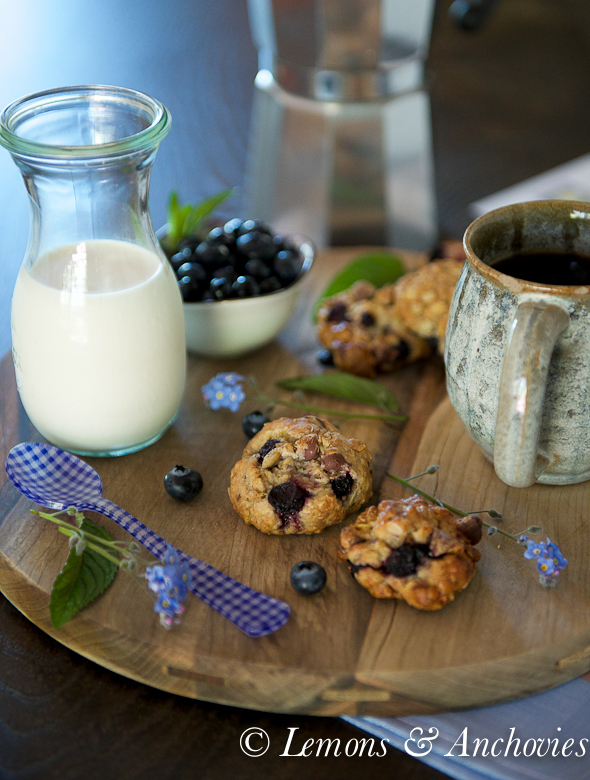 Perfect with a cup of tea or coffee in the afternoon. Pretty! I am a big pistachio fan and these sound great, what a great combo! The other day I bought a bag of pistachios on sale – I meant to make a cake with oranges and pistachios but these look so much better. I think they are the most eye catching and gorgeous cookies I’ve seen! I rarely see pistachios in cookies. I’ve bookmarked this recipe. Thanks, Trissa. I couldn’t believe these cookies were bound by only one egg white. Adorable. 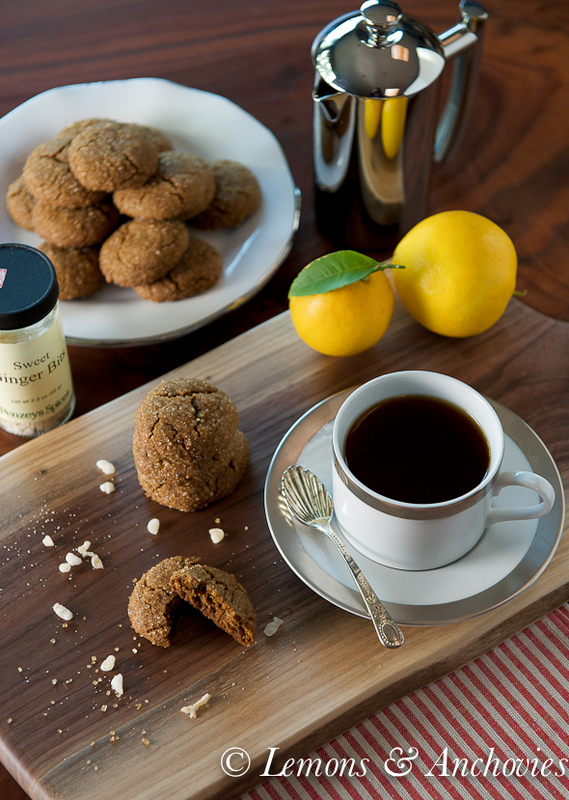 I can imagine one of your cookies with a hot cup of tea. Mm. Yummy looking cookies, even though they are chunky. What an interesting flavor combination. It’s funny, I didn’t think it was so unusual to put pistachios and lemon together until I saw everyone’s comments. I think it’s because I use them both in my pesto sauce. Now I do see what everyone means since this is a cookie instead of a savory dish. The lemon is minor player here, though. Thanks! Great recipe. I like the combination of pistachios and lemon. You could use pure Lemon extract for the lemon juice. I plan to bake the cookies real soon. The cookies look delicious. Thanks for the tip, Olga. That’s a good idea. I bet that the lemon essence would be stronger then. Great! Lemons and pistachios together are so awesome together, aren’t they? I used the same combination in biscotti last Christmas, though I really like the idea of using it in a soft chewy cookie like this instead… plus the lacy crackly top is too pretty for words. Thanks for sharing this one! Love the flavor combination here. Just lovely! Thank you a thousand times over! i am hopeless with cookies but these were so easy and oh my good god they were outta this world! ive eaten two so far and i cant stop amazing! 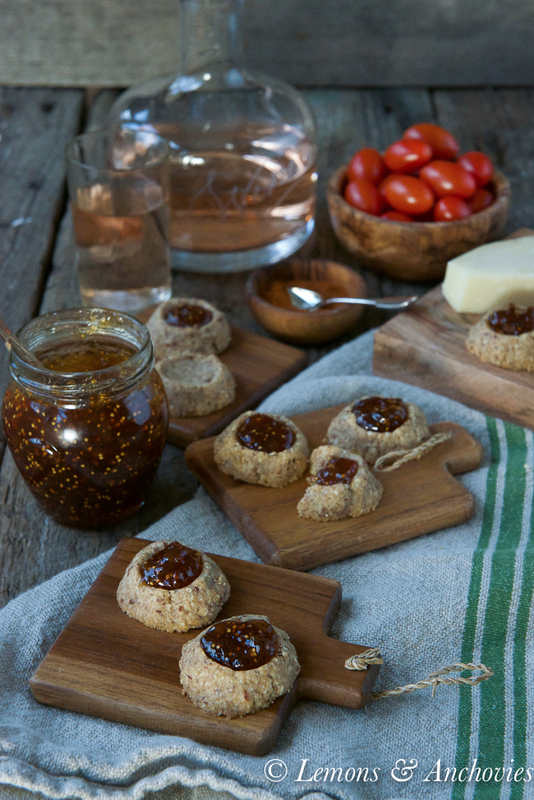 !Crispy and golden on the outside chewy and fantastic on the inside.